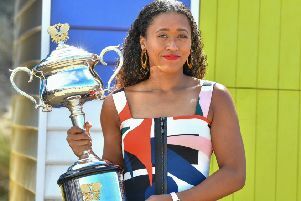 In September last year, a star was born but yesterday that star came of age when Naomi Osaka was crowned as the new Australian Open champion and the new world No 1. In September, Osaka did the unthinkable and beat Serena Williams to win the US Open. But her win was overshadowed by Williams’s furious rant at the umpire Carlos Ramos and subsequent meltdown when she was docked a game for her outburst. Osaka’s moment of glory had been ruined. Yesterday, Kvitova did everything in her power to ruin Osaka’s night again, although she did it legally, in good spirit and with some breath-taking tennis. Yet Osaka simply would not be beaten. It was an outstanding display of courage, power and resilience to win 7-6, 5-7, 6-4. 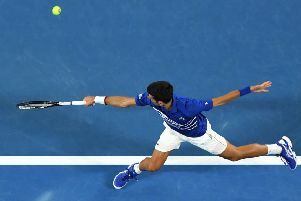 From holding her first championship point to converting her fifth took 55 minutes as Kvitova dug in and made her young rival drag the title from her. But on that fifth match point, the young Japanese looked calm and serene: she had been through every emotion in her two major finals and now the trophy was within her reach. Only just 21 and just starting out on her fourth season as a professional, she is now a double grand slam champion and the first Asian, man or woman, ever to top the rankings. And she is only getting better. Not that anyone would have known it from the expression on her face – she looked utterly underwhelmed. But there was a reason for that. Unsure where to stand, whose hand to shake, what to say or what to do with the large – and heavy – Daphne Ackhurst Memorial Cup, she looked like a shy little school girl. But one with a truly scary talent and a massive future. She had better work out what to do in these trophy presentation ceremonies because she will feature in many, many more of them in the years to come. Despite that little-girl-lost look that Osaka can sometimes have, there is a ferocious competitor lurking within. In New York, as the world went mad all around her, she calmly got on with business. Against Kvitova, she held those three match points in the second set but then could do nothing as the Czech grabbed them back. Experience, a champion’s heart and an emotional reason of her own for wanting this win more than any other saw Kvitova thump her forehand, crack her serve and simply refuse to go away. This was the Czech’s first grand slam final since she was the victim of a knife attack at the end of 2016, an attack that could have cost her life and nearly cost her her career. Fighting with every fibre in her being, she cancelled out the match points to start a five-game run as she closed out the second set. As unusual a comparison as it sounds, there is a startling similarity between Osaka and Maria Sharapova. The Russian is an established superstar, she is at home in the spotlight and she is a multi-multi-millionaire. But she is also the toughest of fighters: she chews nails and spits rust. And so is Osaka. To watch her receive serve, there is a look in Osaka’s eye of sheer aggression coupled with the clenched left fist and the punch to her thigh – it is pure Sharapova. But what she has to call her own is a better serve than Sharapova, better movement, more power and fewer weaknesses. Osaka has it all. Taking a tactical bathroom break to gather her thoughts at the end of the second set (she was in tears at the time), the Japanese regrouped, put her missed chances out of her mind and started again. This time when she got her nose in front, she did not falter and when she held match points, she made them count. As the baby-faced assassin homed in on the trophy, she had improved on a remarkable statistic. In 29 grand slam matches in which she has won the first set, she has only lost once and that was at the French Open in 2016. In regular tour matches, she has not lost a match after taking the first set since October 2016. And in grand slam finals, she has never lost. Osaka is already the brightest star in the WTA’s firmament and yet this is only the beginning. ◆ First-time partners Rajeev Ram and Barbora Krejcikova are grand slam champions after the US-Czech combination beat Australian wildcards John-Patrick Smith and Astra Sharma 7-6 (3), 6-1 to win the Australian Open mixed doubles title.